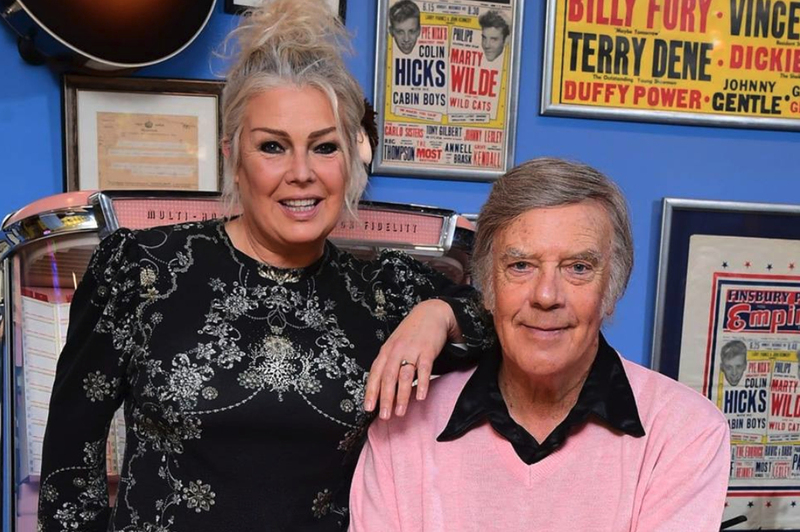 Kim Wilde's father and rock 'n roll legend Marty Wilde celebrates his 80th birthday today. Having turned 80 is a bit of a milestone for anyone, but for Marty it is actually the start of a very busy year. Last Friday a new compilation album was released. 'Dreamboats & Petticoats presents the very best of Marty Wilde' features 21 tracks from his lengthy career in music, and also includes one new track: 'Eddie' is a tribute to Eddie Cochran and is an outtake from a forthcoming NEW album called 'Running together', which will see the light later on this year. The box set 'Marty: A lifetime in music 1957-2019' will follow in June, as we reported previously. Meanwhile, Marty will also be touring the UK this summer. For a full list of dates, check out the official Marty Wilde website. Marty and Kim are scheduled to appear on television this Friday, on Sunrise (Sky News), This Morning (ITV) and the 6 O'Clock news (BBC). If you're in the UK you can keep an eye out for that.